The Brexit decision rocked not only Europe, but much of the world. After the United Kingdom chose to leave the European Union, other countries began to consider doing the same. Now, even liberals — who by and large slammed the Brexit decision — have started considering creating a Brexit of their own. They want California to secede from the union and that effort is gaining steam. 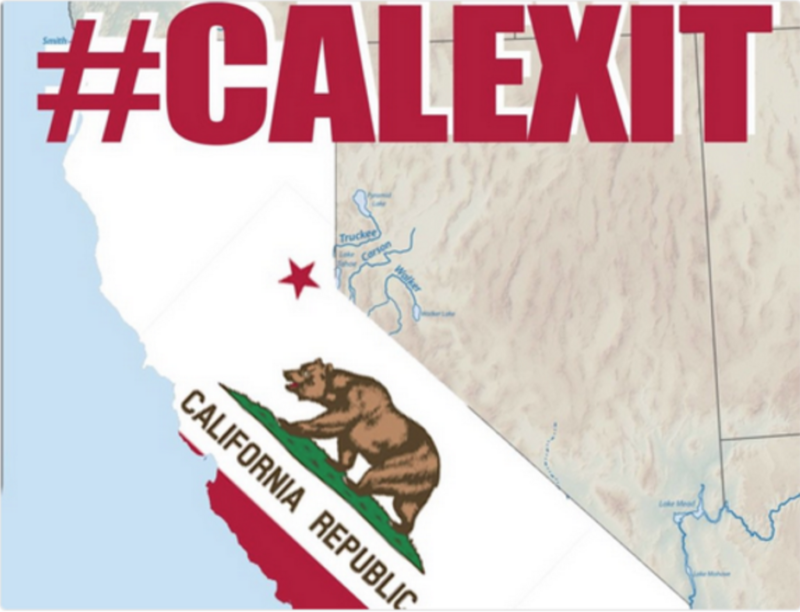 Recent surveys show that up to one-third of Californians support a peaceful Calexit — separating from the United States and becoming their own independent nation. This equals almost 13 million people, so it’s clearly something that is becoming more popular. California is one of the most liberal states in the union, although that’s largely due to liberal enclaves like San Francisco and Los Angeles. And Calexit, Carberry argues, could allow their progressive “values” to flourish. Do you think California should secede?